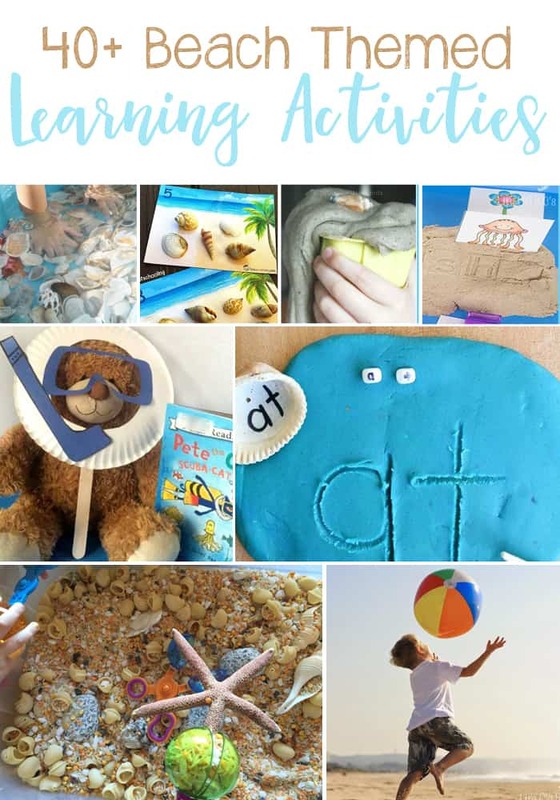 Have you ever been to the beach before? It is one of my favorite places to be in the world. It is exciting and high energy but calming and serene at the same time. It makes way for a ton of ways to play and even more themes for play. The sand, the sun, the waves, and even animals. 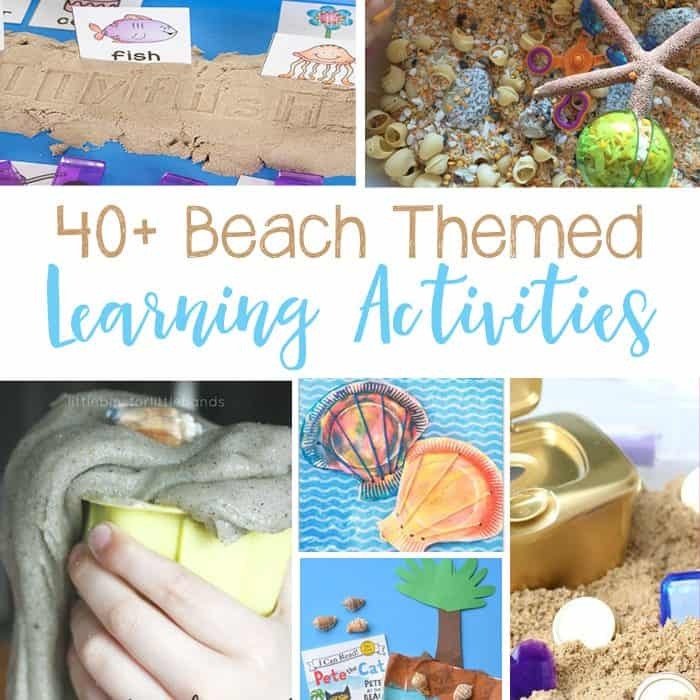 I have found some of my favorite beach themed learning activities to share with you including math, literature, art & crafts, sensory and STEM.